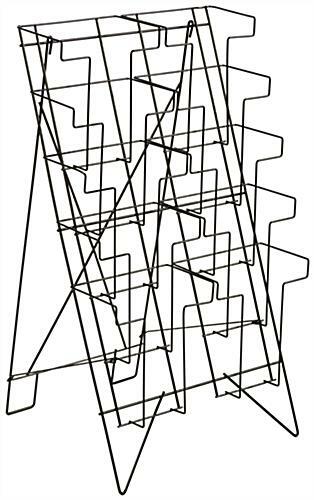 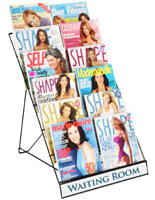 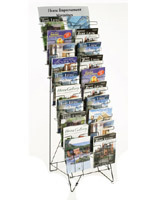 This wire magazine rack features (10) pockets and (5) tiers for showcasing magazines and catalogs sized 8.5”w x 11”h. 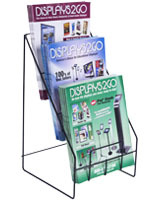 This business mount with a black powdercoated finish is a popular office accessory in our literature displays line. 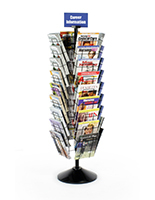 This magazine rack that is a countertop fixture looks professional while providing clients or customers with access to tons of publications associated with an organization. 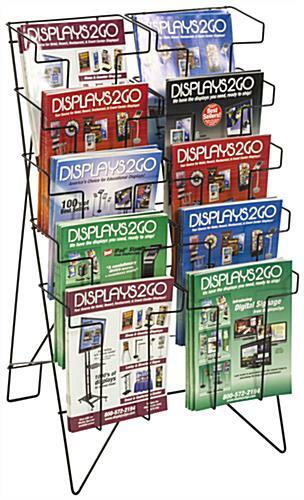 or for sale in a retail shop. 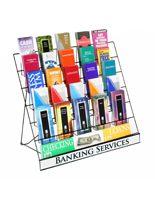 Mount a countertop stand near a register or in the reception area of a professional office. 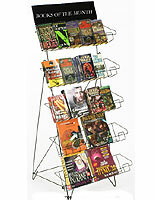 This black metal rack, also known as a literature display, has a folding design for storage or transport to trade shows or conventions. 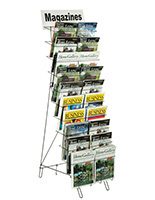 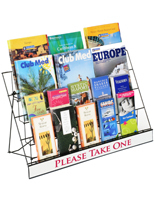 With (10) pockets and (5) tiers for displaying publications, this stand is sure to boost business or keep customers engaged, depending on your need. 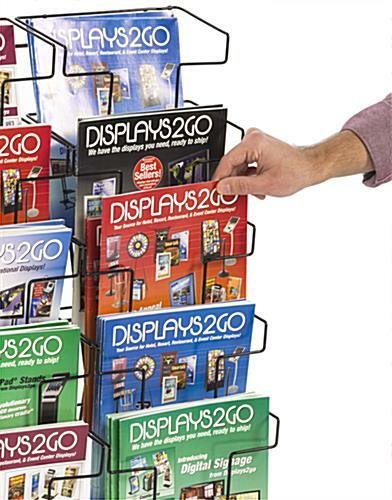 20.5" x 31.0" x 18.3"
10.3" x 9.5" x 1.6"